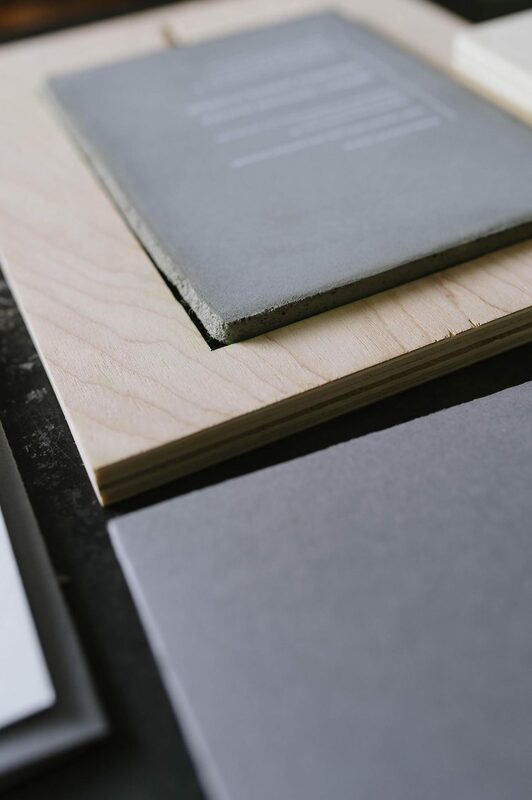 When you’re throwing a modern, industrial wedding, a dainty letterpress invitation just might not be right. 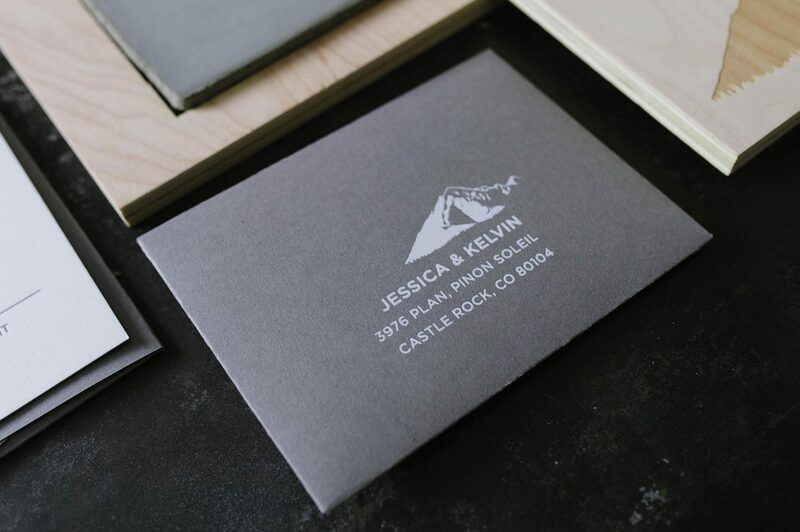 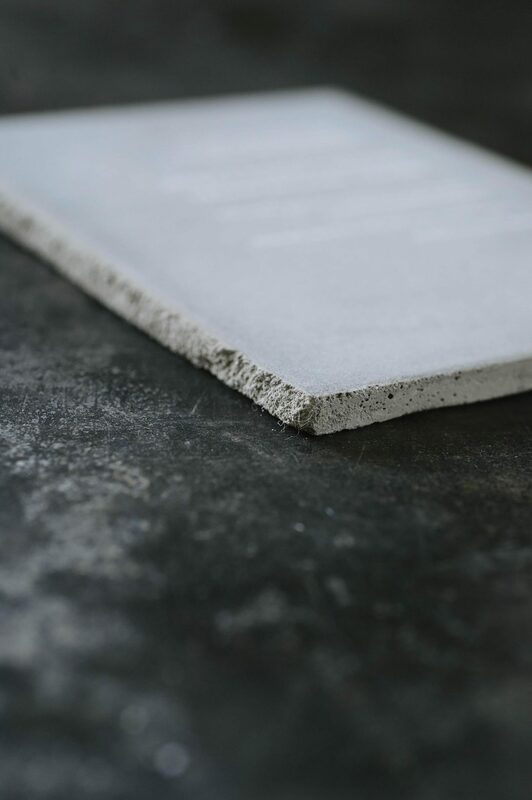 For Jessica and Kelvin’s invitations, We wanted to mirror the industrial vibe they created for their big day, so we cast individual sheets of concrete 1/4″ thick and screenprinted them – front and back – in white. 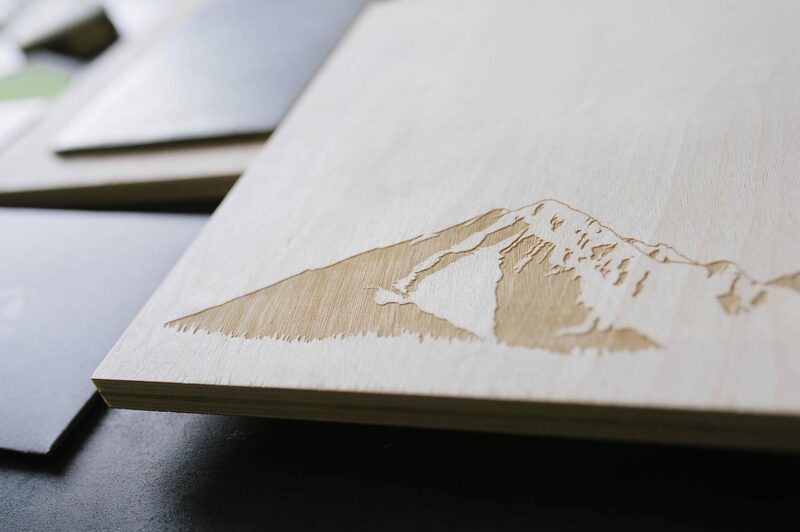 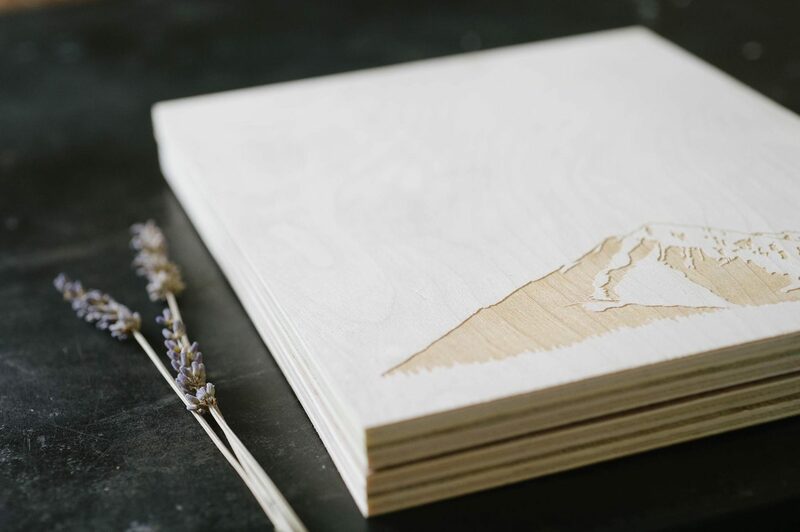 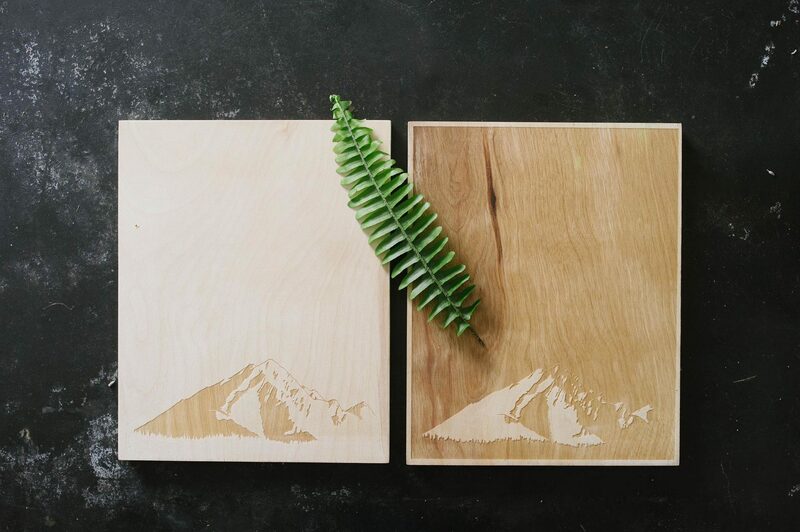 Their luxury Colorado wedding needed a statement piece and we think we accomplished it with the mountain silhouette illustration, which made its way to the back of the concrete as well as to the laser-engraved wood posters that also served as a case for the invitation. 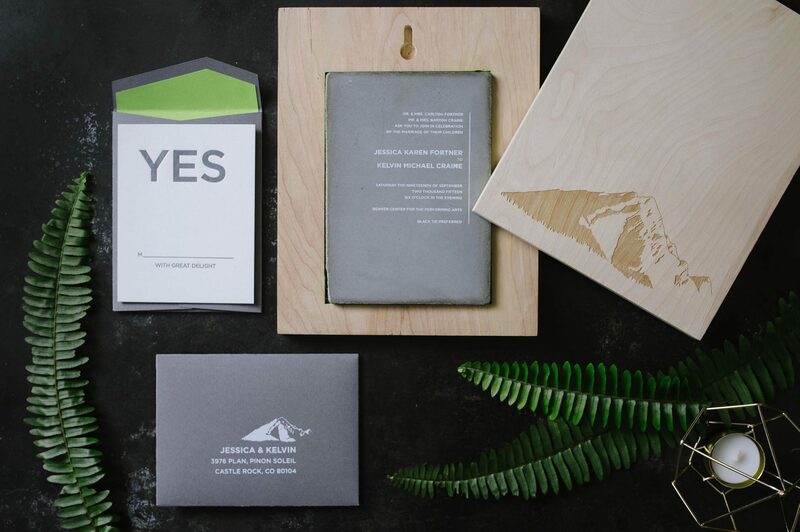 We designed the invitation to be a true experience for Jessica and Kelvin’s guests and to leave them with stunning art they can hang or display on a shelf. 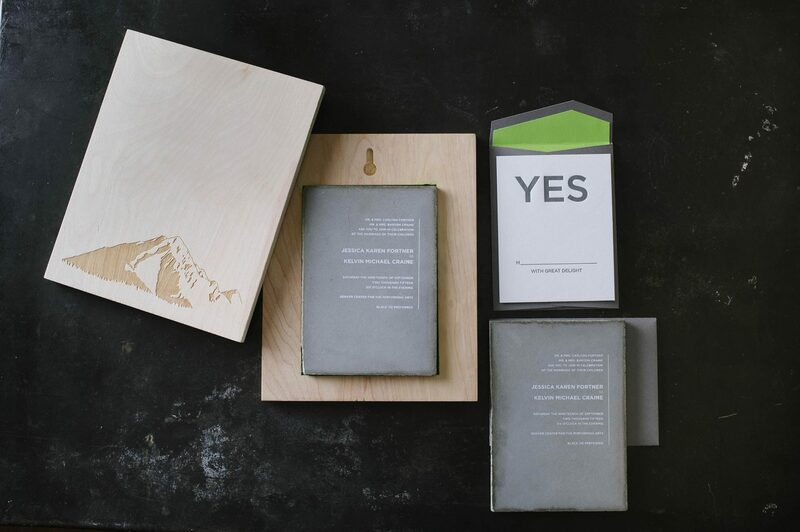 Cast concrete invitation, screenprinted, with laser-engraved wood posters/case. 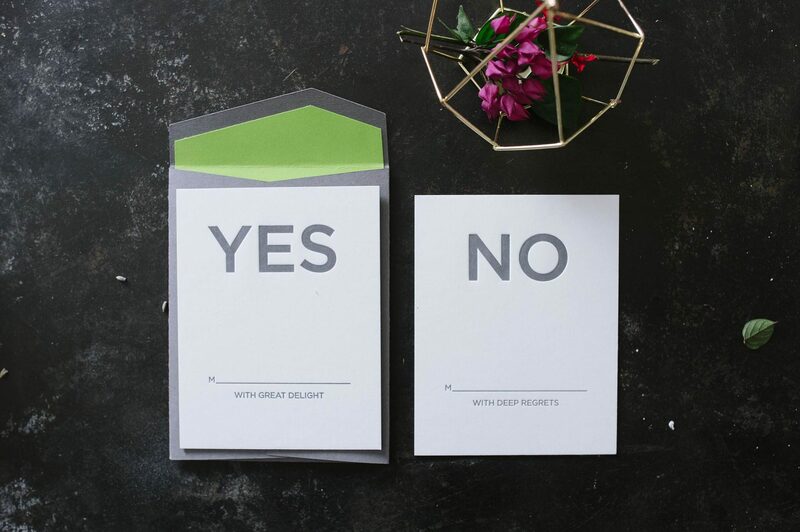 1-color letterpress RSVP cards with custom envelope.